As the end of the year approaches rapidly, and I can see the end of my Sky Blanket in sight, I'm starting to think about a new project for next year. 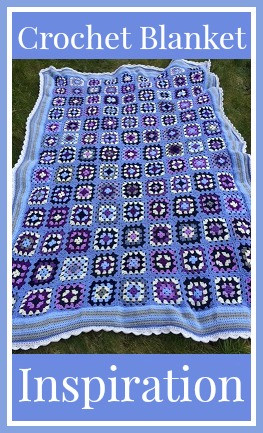 The Sky Blanket will be my third crochet blanket, having already completed the Patons crochet afghan and my granny square blanket. All three are quite different in terms of style and colour combinations, and I'm trying to work out what I'd like to try out next. On the other hand, after tentatively trying out a few different stitches on my Sky Blanket, I do quite like the idea of just going completely random with a whole mix of different stitches. 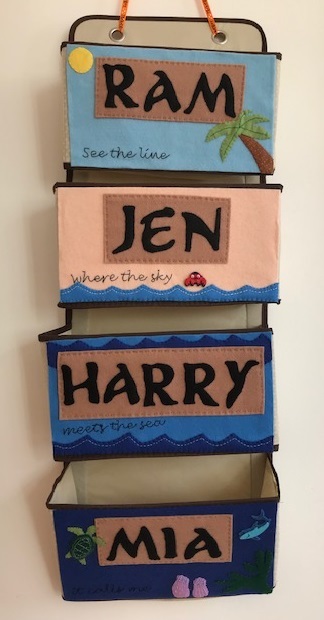 I've seen some lovely examples like the one below, I could either make it up as I go along or follow a vague pattern, again alternating white rows with coloured ones. So it looks as though my big decision is really whether to go with stripes or squares! I'm leaning towards stripes at the moment because I quite like the more sturdy look of my stripy blanket, I worry about how well my granny squares will hold together if the blanket becomes well used. I'm hoping that I can come up with something that is an amalgamation of all the inspiration that I've picked up! 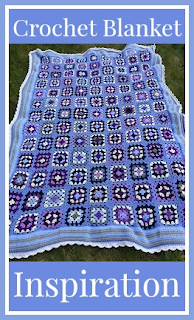 I hope you liked all these gorgeous blankets - this is my Blankets inspiration board on Pinterest, I've been adding to it for a long time now and it is stuffed full of more colourful crochet blankets, along with a few hints and tips! It's continuously one of the biggest conundrums in my head; which blanket do I go for next? !